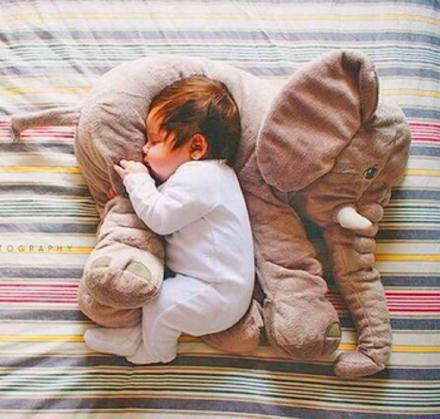 It's an official fact that everything is better if it's in dinosaur form. 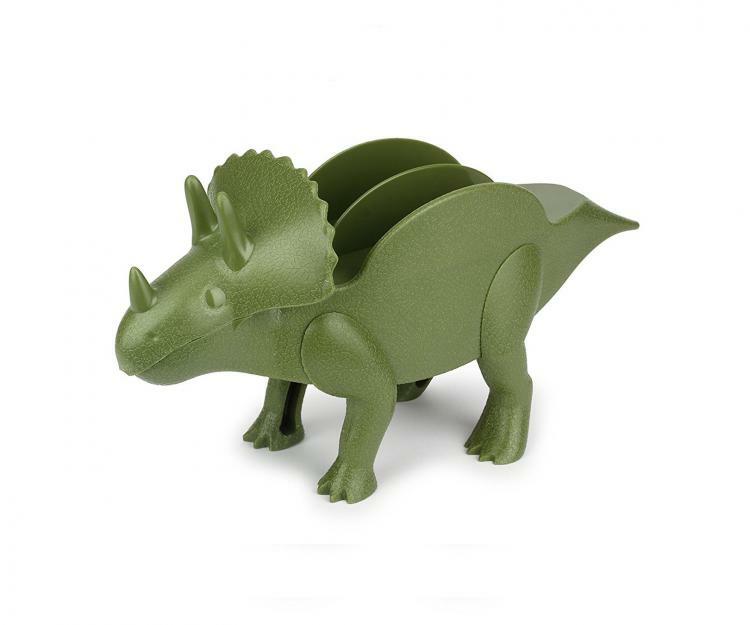 Take for instance this dinosaur head lunch box, this dinosaur bottle opener, or this dinosaur oven mitt. 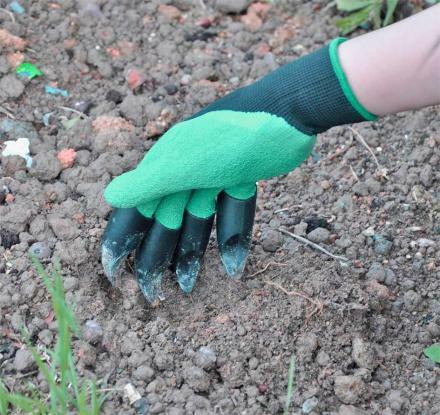 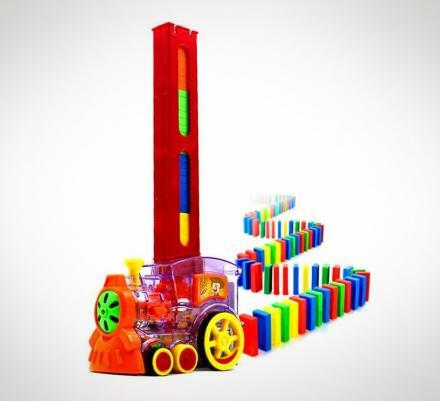 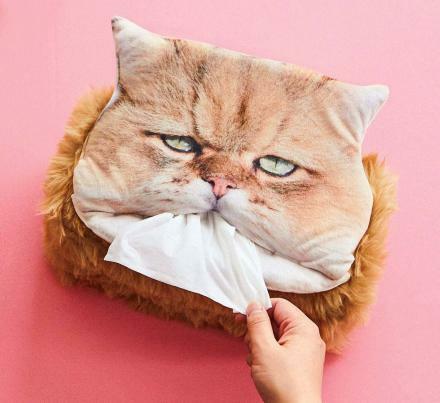 If these were just regular items not shaped like dinosaurs, they would for one, not be on this website, nor would they contain the level of awesome that they currently have. 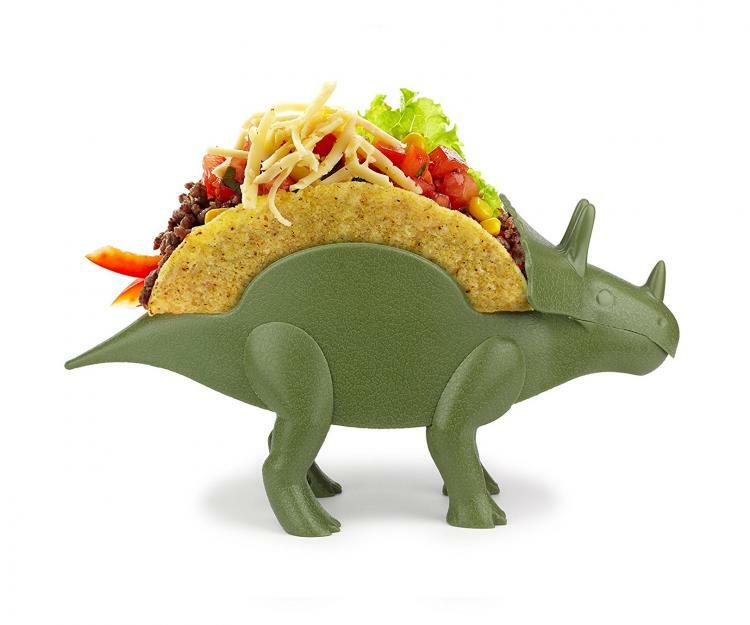 Another example would be this dinosaur shaped taco holder! 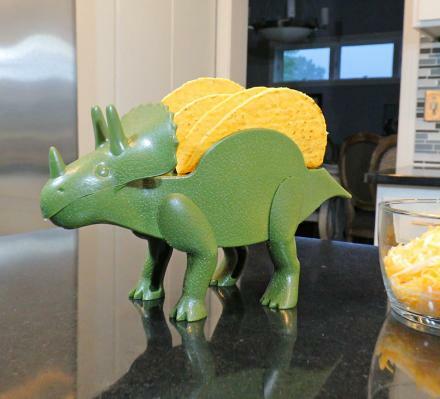 Known as the TriceraTACO, the dinosaur shaped taco holder will hold up your taco shells while you put together your tacos and consume them. 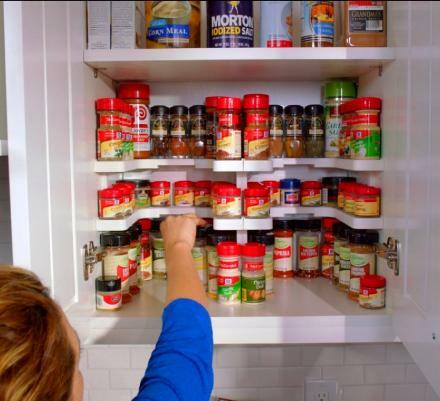 You can walk it across the table as you put in each ingredient, and your tacos will never fall down like they would on a plate, thus spilling everything back out. 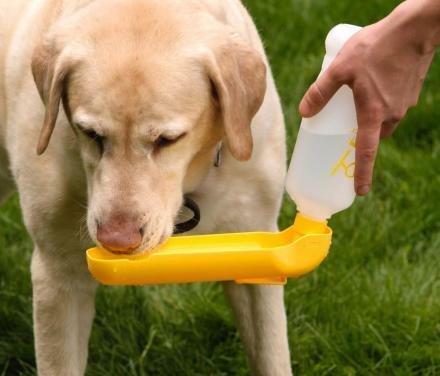 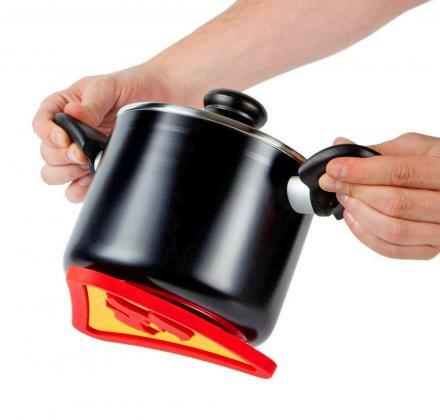 You can also just use it as a plate to eat your tacos out of, instead of having to prop your taco back up on your plate after each bite you take, you can simply place it back in the slot and it will keep your taco perfectly upright. 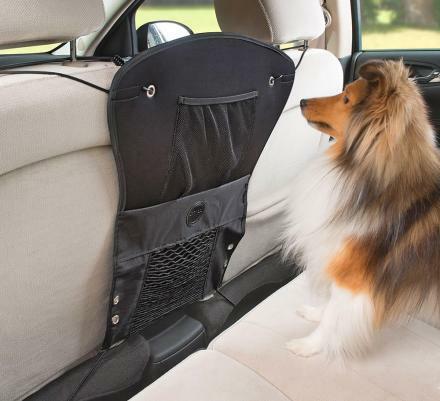 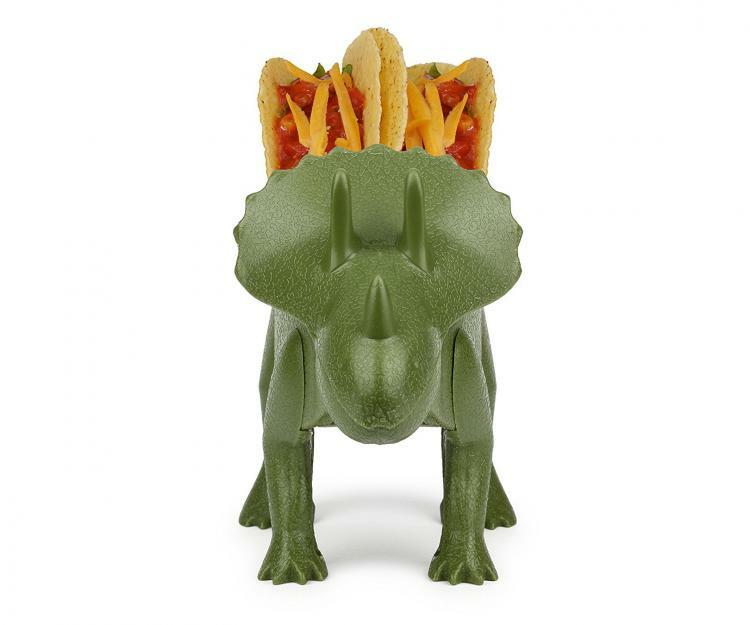 The TricereaTACO dinosaur taco holder has two taco holding slots on its back and makes putting together your tacos a whole lot easier. 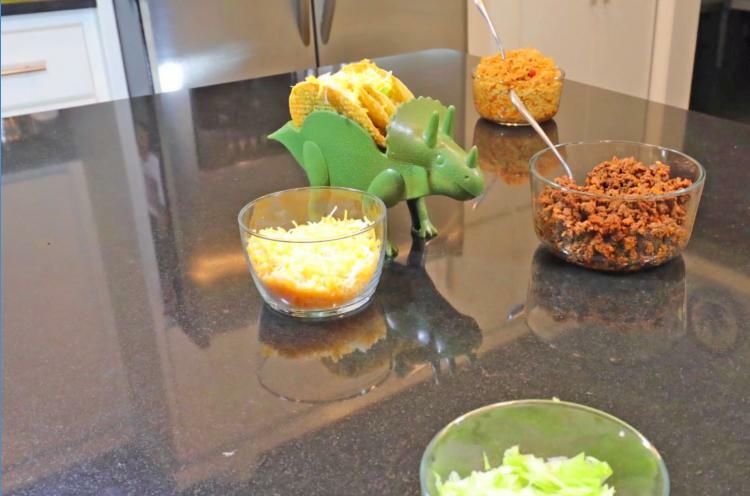 Also if you happen to be having a dinosaur themed birthday party for your kid, this would make the perfect party prize for each attendee. 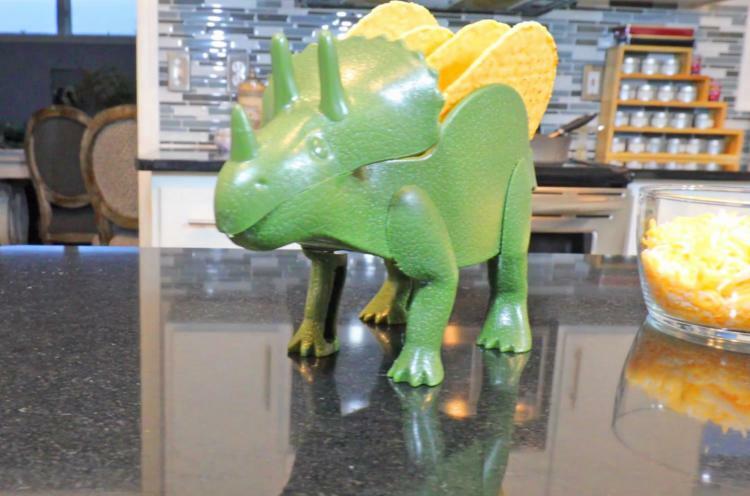 The dinosaur shaped taco holder is made to look like a Triceratops dinosaur, is made from food-safe polypropylene plastic, is super easy to clean and is dishwasher safe in the top rack. 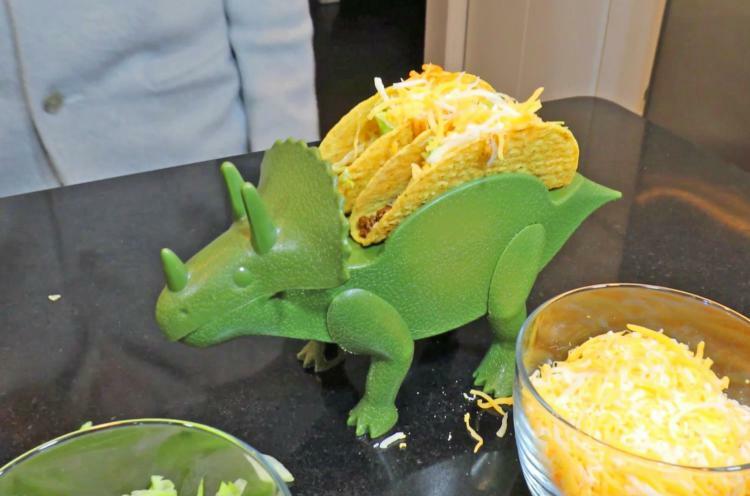 The holder works best with hard shell tacos, but it'll also work with soft shell tacos as well, but it just won't hold them in place quite as well. 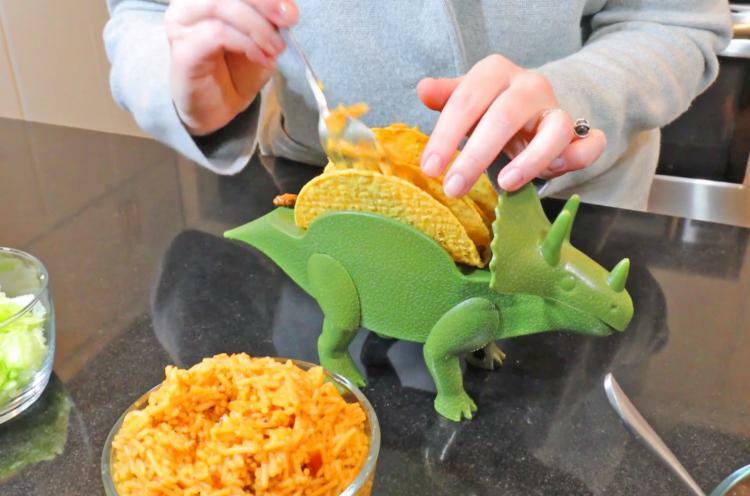 Check out the TriceraTACO dinosaur taco holder in action via the video below.